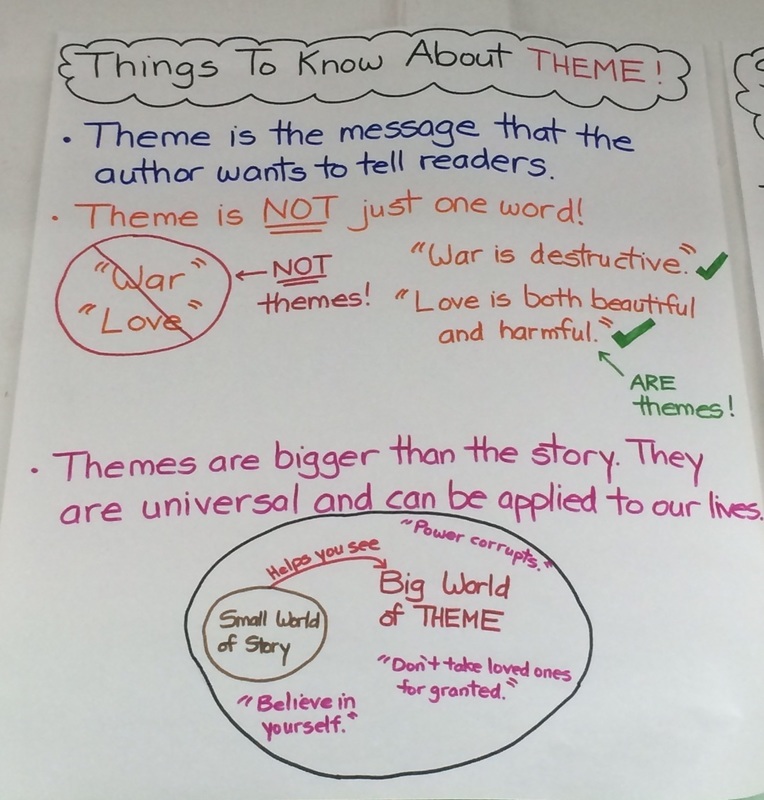 Theme is the message that the author wants to show/tell readers. It is NOT just one word. Themes are implied, so you must infer, or make conclusions to figure it out. 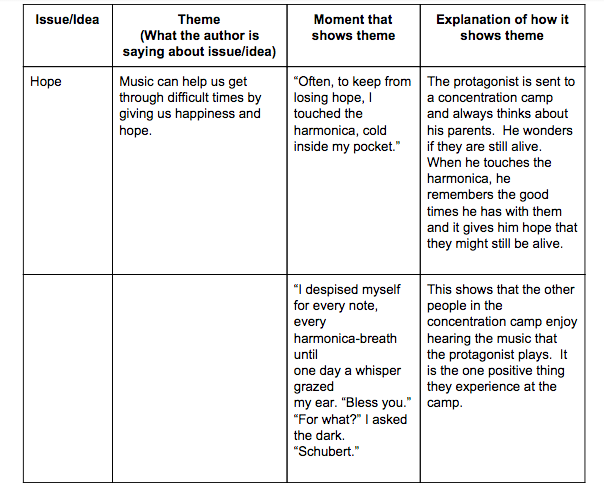 Strong readers analyze theme by paying close attention to the ending of a story. What is an important idea/issue that comes up in the story/novel? What does the author believe about that idea? “One of the themes that the author is trying to communicate is ___________. This is because _____"
Strong readers track important themes in texts by identifying specific moments that reveal them. 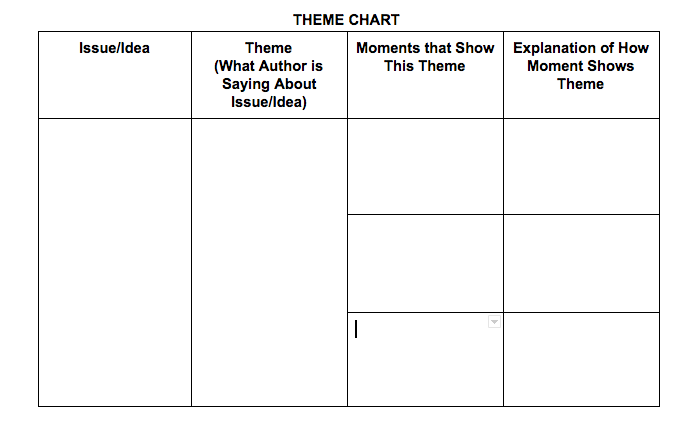 ​After you have identified some issues/ideas, sometimes it is helpful to create a theme chart (examples below).